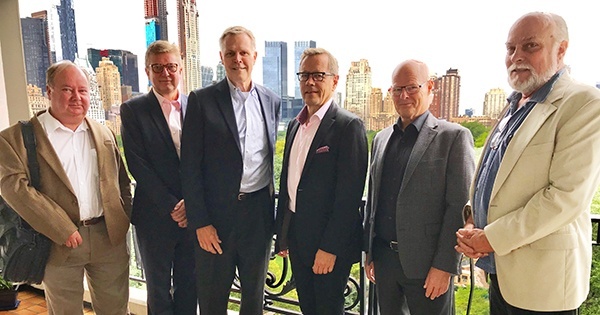 Kalevi Ruuska, NASS Secretary; Eero Kilpi, NASS President; Keith Raisanen, NASS Chairman; Veijo Komulainen, Counselor Commercial and Trade Affairs at Finnish Consulate New York; Manu Virtamo, Consul General of Finland; Nils Shenholm, NASS board member. The annual meeting of the North American Sauna Society was held in New York City September 20 at the residence of Consul General of Finland, Manu Virtamo. NASS President Eero Kilpi said the meeting included excellent discussions about promoting Finnish Sauna. It was noted that interest in Finnish Saunas and the associated health benefits is at an all-time high--partly due to recent superb sauna medical studies from Finland. 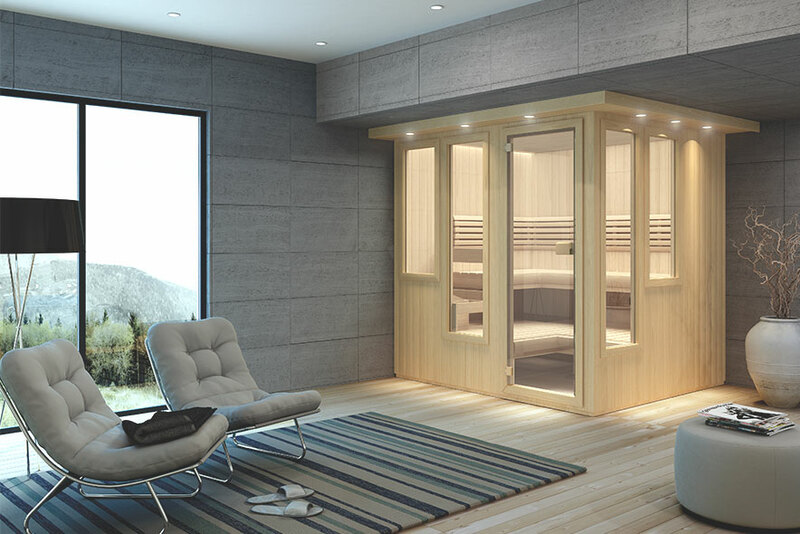 Finnleo President and NASS Chairman, Keith Raisanen, commented, "Since 1984, Finnleo has firmly believed sauna is an integral part of a healthy, well-balanced lifestyle. Now, the outstanding sauna medical studies from Finland, particularly from Dr. Jari Laukkanen, proves how important traditional Finnish sauna is for total health & wellness. From relaxation & post-workout recovery to reduced risk of cardiovascular disease and Alzheimer's and dementia, the benefits of sauna are a perfect fit for to meet the needs of wellness goals of many North Americans. Finnish sauna is the third pillar of a wellness lifestyle: diet, exercise and sauna." To learn more about NASS, visit www.saunasociety.org.